Childhood lead exposure remains a persistent environmental health threat, particularly for low-income minority children. Research has shown that children in families receiving public assistance such as the Special Supplemental Nutrition Program for Women, Infants, and Children (WIC) are more likely to have elevated blood lead levels than children not enrolled in a public assistance program, and that targeted testing of WIC participants could help identify additional children with elevated blood lead levels. Testing participants for lead when they visit a WIC office for their required anemia test provides both an excellent and convenient opportunity to implement the Centers for Disease Control and Prevention’s (CDC) recommendation to target blood lead testing of children participating in federal programs, as well as address nationally persistent low testing rates. Importantly, there is no federal statutory language explicitly prohibiting WIC funds for blood lead testing, and use of WIC funds for this purpose has historical precedent. For these reasons, we recommend issuance of guidance/rules permitting federal WIC funds to be used to conduct blood lead testing, as well as for supplying lead-safe water filters and ready-to-feed formula. In adults, lead poisoning can cause high blood pressure, problems with memory and concentration, mood disorders; and miscarriage, stillbirth, or premature birth in pregnant women. In a pregnant woman, lead may cross “the placenta and can have a detrimental impact on a developing fetus.” Infants who have been exposed to lead prior to birth may be born prematurely, have a lower birth weight, and experience delayed growth. Mothers who have been exposed to very high levels of lead can pass lead to the infant through breast milk until their lead levels decrease, potentially impacting the infant’s health and development. Despite the devastating effects of lead poisoning and the ability to prevent and mitigate exposure, the rates of testing children for lead are far from where they should be. All children enrolled in Medicaid are required to be blood lead tested at ages 12 and 24 months. However, in 2016 only 10.0% of children five years of age and younger were tested nationally. More than 60% of children were enrolled in Medicaid or the Children’s Health Insurance Program in 2017, indicating a substantial number of publicly insured children do not receive the required testing. WIC’s mission is to safeguard the health of low-income women, infants, and children up to age 5 who are at nutritional risk. In federal fiscal year 2016, WIC served 7,696,439 participants. WIC provides federal grants to states to assist in meeting the nutrition needs of this population primarily through nutrition education and WIC food packages. The goals of WIC’s nutrition education are to 1) emphasize the relationship between nutrition, physical activity, and health and 2) assist the individual at nutritional risk in achieving a positive change in dietary and physical activity habits, including prevention of nutrition-related problems through use of WIC supplemental foods and other nutritious foods. To qualify for WIC, an applicant must also “be determined to be at nutritional risk.” Lead poisoning is an example of a nutritionally-related medical condition which qualifies as a nutritional risk basis for certification of eligibility for the WIC program. To help prevent childhood lead poisoning, the CDC recommends targeting children in federal programs such as WIC for blood lead testing. In 2016, the USDA temporarily granted Michigan permission to use WIC funds to conduct lead testing for WIC participants. This was part of the Department’s efforts to support residents in Flint, Michigan by mitigating “the ill effects of the city’s water crisis on their health and wellbeing.” This temporary permission highlights the USDA’s recognition that targeted testing of WIC participants can help detect and prevent lead exposure. Ultimately, WIC has the potential to play an important role in combating lead poisoning through early testing, nutritional foods and education, and providing water filters and ready-to-feed formula (discussed below). There is no federal statutory language explicitly prohibiting the use of WIC funds for blood lead testing. In fact, WIC funds’ use for lead testing has historical precedent. In addition to blood lead testing, interventions for mitigating exposure to lead in drinking water are essential to preventing lead poisoning. Because lead is harmful to health even at low exposure levels, the EPA set the maximum contaminant level goal for lead in drinking water at zero. WIC could help accomplish this goal by providing water filters and ready-to-feed formula to participants. In 2015, the USDA recognized the importance of water filters and ready-to-feed formula (which does not need to be mixed with water) in mitigating lead exposure, and began offering them to Flint residents participating in the WIC program. Nationally, allowing use of WIC funds to provide water filters and ready-to-feed formula (without a water crisis contamination determination) in areas of high risk for lead poisoning could significantly mitigate participants’ lead exposure. Importantly, research has demonstrated that children in families receiving public assistance such as WIC are more likely to have elevated blood lead levels than children not enrolled in a public assistance program. Furthermore, the CDC has recommended targeting children participating in federal programs such as Medicaid and WIC for blood lead testing. WIC has already recognized lead as a significant nutrition risk, and testing equipment such as Lead Care II analyzers allow for an efficient and inexpensive non-laboratory point-of-care method to test WIC participants for elevated blood lead levels. In fact, the CDC recommends use of Lead Care II analyzers by WIC programs. Testing participants for lead when they visit a WIC office for the required hematological (anemia) test would help target a population that is more likely to have higher rates of lead exposure. If WIC offices were permitted to test for lead using federal WIC funds, more women, children, and infants with elevated blood lead levels could be reached and treated. Blood lead testing (including WIC paid staff time) in local WIC offices. Supplying lead-safe water filters and ready-to-feed formula to participants in high risk areas, without the need for a determination that the water supply is contaminated/unsanitary. 1 Highlights from a forthcoming White Paper to be issued by Legal Council for Health Justice, Winter 2018. 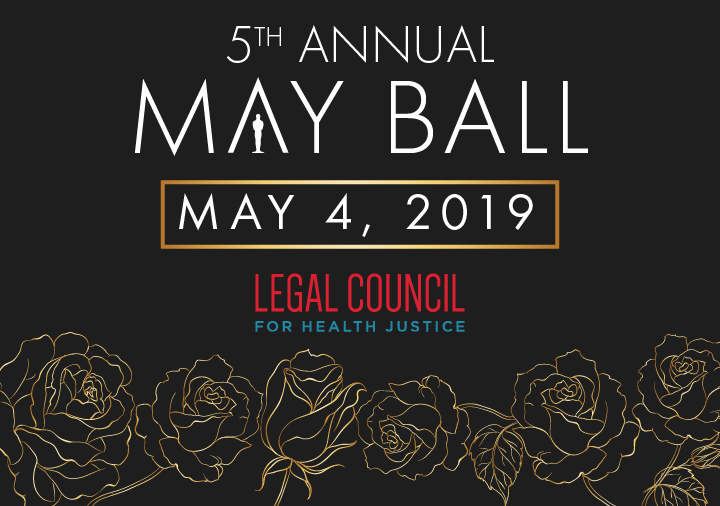 For more information, contact Amy Zimmerman, JD at azimmerman@legalcouncil.org. 2 Robert L. Jones, David M. Homa, Pamela A. Meyer, Debra J. Brody, Kathleen L. Caldwell, James L. Pirkle, and Mary Jean Brown, Trends in Blood Lead Levels and Blood Lead Testing among US Children Aged 1 to 5 Years, 1988–2004, Pediatrics 123:376–85 (2009) http://pediatrics.aappublications.org/content/123/3/e376. 3 Yutaka Aoki & Debra J. Brody, WIC Participation and Blood Lead Levels Among Children 1-5 Years: 2007-2014 1, 3-4 126(6) Environmental Health Perspectives (June 2018), https://www.ncbi.nlm.nih.gov/pmc/articles/PMC6084832/; Kristina M. Zierold & Henry Anderson, Trends in Blood Lead Levels Among Children Enrolled in the Special Supplemental Nutrition Program for Women, Infants, and Children from 1996-2000, 94(9) Am. J. Public Health (2004), https://www.ncbi.nlm.nih.gov/pmc/articles/PMC1448483/. 4 Advisory Committee on Childhood Lead Poisoning Prevention, Recommendations for Blood Lead Screening of Young Children Enrolled in Medicaid: Targeting a Group at High Risk, CDC (Feb. 2000), https://www.cdc.gov/mmwr/preview/mmwrhtml/rr4914a1.htm. 5 U.S. General Accounting Office, Report to the Ranking Minority Member, Committee on Government Reform, House of Representatives, Lead Poisoning: Federal Health Care Programs Are Not Effectively Reaching At-Risk Children 48 (Jan. 1999), https://www.gao.gov/assets/160/156458.pdf [hereinafter GAO Report]. 6 Weinberg A. A case study of a partnership in Chicago to prevent childhood lead poisoning. In: Garbarino J, Sigman G, eds. A Child’s Right to a Healthy Environment. New York, NY: Springer-Verlag; 2010:43-71. 7 Lead Poisoning, MAYO CLINIC, https://www.mayoclinic.org/diseases-conditions/lead-poisoning/symptoms-causes/syc-20354717. 8 WIC NUTRITION RISK: 211 ELEVATED BLOOD LEAD LEVELS (May 2015), http://bit.ly/2Pt2VDV. 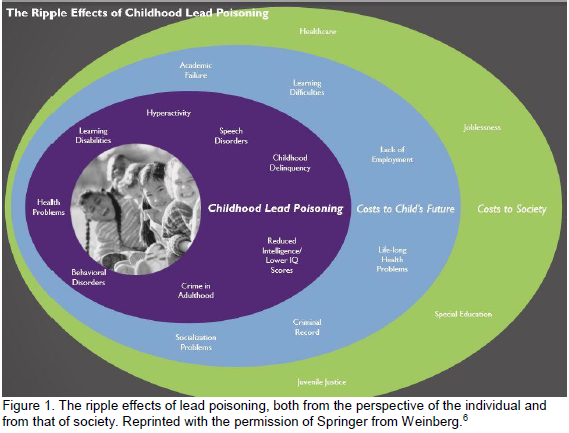 10 Nicole Hamp, Amy Zimmerman, and Jessica Hoffen, Advocating for Automatic Eligibility for Early Intervention Services for Children Exposed to Lead, Pediatric Annals (Oct. 12, 2018), https://doi.org/10.3928/19382359-20180924-01; see also Amy Zimmerman & Emily Tcheng, An Innovative Pilot Program to Provide Early Intervention for Illinois’ Lead Poisoned Children, GEORGETOWN UNIV. HEALTH POLICY INST. CTR. FOR FAMILIES & CHILDREN (Aug. 3, 2018), https://ccf.georgetown.edu/2018/08/03/an-innovative-pilot-program-to-provide-early-intervention-for-illinois-lead-poisoned-children/. 11 Lead Poisoning, supra note 7. 12 WIC NUTRITION RISK: 211 ELEVATED BLOOD LEAD LEVELS, supra note 8. 13 Lead Poisoning, supra note 7. 14 WIC NUTRITION RISK: 211 ELEVATED BLOOD LEAD LEVELS, supra note 8 (recommending that mothers with blood lead levels over 40 micrograms/deciliter only begin breastfeeding when their blood lead levels drop below that number). 15 See supra note 4. Children aged 36-72 months who have not previously been screened are also required to receive a blood lead test. 16 CDC’s National Surveillance Data (2012-2016), CDC, http://www.cdc.gov/nceh/lead/data/national.htm. 17 See Philip Bump, More than 6 in 10 American Children were Enrolled in CHIP or Medicaid in 2017, WASH. POST (June 13, 2018), https://www.washingtonpost.com/news/politics/wp/2018/06/13/more-than-6-in-10-american-children-were-enrolled-in-chip-or-medicaid-in-2017/?utm_term=.2b28c07c358c. Article links to Centers for Medicare and Medicaid Services data. 18 The Special Supplemental Nutrition Program for Women, Infants and Children (WIC Program), USDA, https://fns-prod.azureedge.net/sites/default/files/wic/wic-fact-sheet.pdf. 19 WIC Program, USDA, https://www.fns.usda.gov/pd/wic-program. 20 The Special Supplemental Nutrition Program for Women, Infants and Children (WIC Program), supra note 18. 21 WIC Program Nutrition Education Guidance, USDA WIC Works Resource System, https://wicworks.fns.usda.gov/wicworks/Learning_Center/ntredguidance.pdf. 22 7 C .F.R. § 246.7 (e) (2018), https://www.ecfr.gov/cgi-bin/text-idx?SID=a42889f84f99d56ec18d77c9b463c613&node=7:4.1.1.1.10&rgn=div5. 24 See supra note 4. 25 Federal Nutrition Programs: Reducing the Impact of Lead Exposure, U.S. DEP’T OF AGRICULTURE, FOOD AND NUTRITION SERV. (Dec. 2016), https://www.fns.usda.gov/federal-nutrition-programs-reducing-impact-lead-exposure. 26 Fact Sheet: USDA Assistance to Residents Affected by the Water Emergency in Flint, Michigan, USDA, https://www.usda.gov/media/press-releases/2016/02/10/fact-sheet-usda-assistance-residents-affected-water-emergency-flint. 27 WIC NUTRITION RISK: 211 ELEVATED BLOOD LEAD LEVELS, supra note 8; see also In Defense of WIC: WIC Staff Run Tests that are Necessary for Ensuring the Health of Participants, NATIONAL WIC ASSOCIATION (April 2017), https://www.nwica.org/blog/in-defense-of-wic-wic-staff-run-tests-that-are-necessary-for-ensuring-the-health-of-participants#.W9oanXtKiUl. 28 Questions and Answers Related to the Use of a LeadCare II Device - October 2010, New York State Department of Health, https://www.health.ny.gov/environmental/lead/10-2010_questions_and_answers_leadcare_ii_device.htm. 29 USDA to Temporarily Allow WIC Funds to be Used for Lead Testing for Flint-Area WIC Recipients, Announces Other Measures to Expand Access to Healthy Foods, U.S. DEP’T OF AGRICULTURE FOOD & NUTRITION SERV. (Feb. 10, 2016), https://www.fns.usda.gov/pressrelease/2016/003716. 31 GAO Report, supra note 5, at 48. 32 Policy Memorandum 93-3A: WIC’s Role in Screening for Childhood Lead Poisoning, 1993. 33 Pub. Law 106-387, 114 Stat. 1549A-23 (2000), https://www.gpo.gov/fdsys/pkg/PLAW-106publ387/pdf/PLAW-106publ387.pdf. 34 WIC Final Policy Memorandum 2001-1: WIC Allowable Costs—Clarification of WIC’s FY 2001 Appropriations Act Provision Regarding Blood Lead Screening, U.S. DEP’T OF AGRICULTURE FOOD & NUTRITION SERVS. (Dec. 20, 2000) (emphasis in original). 35 Basic Information About Lead in Drinking Water, U.S. ENVIRONMENTAL PROTECTION AGENCY, https://www.epa.gov/ground-water-and-drinking-water/basic-information-about-lead-drinking-water#health. 36 Fact Sheet: USDA Assistance to Residents Affected by the Water Emergency in Flint, Michigan, U.S. DEP’T OF AGRICULTURE: FOOD & NUTRITION SERVICE, https://www.fns.usda.gov/pressrelease/2016/003816. 37 Helping Ensure Access to Safe Drinking Water, USDA, https://fns-prod.azureedge.net/sites/default/files/disaster/Lead-Exposure-Fact-Sheet.pdf. 38 See supra note 3. 39 See supra note 4. 40 See Guidelines for Measuring Lead in Blood Using Point of Care Instrument, Advisory Committee on Childhood Lead Poisoning Prevention, CDC (Oct. 2013), https://www.cdc.gov/nceh/lead/ACCLPP/20131024_POCguidelines_final.pdf.